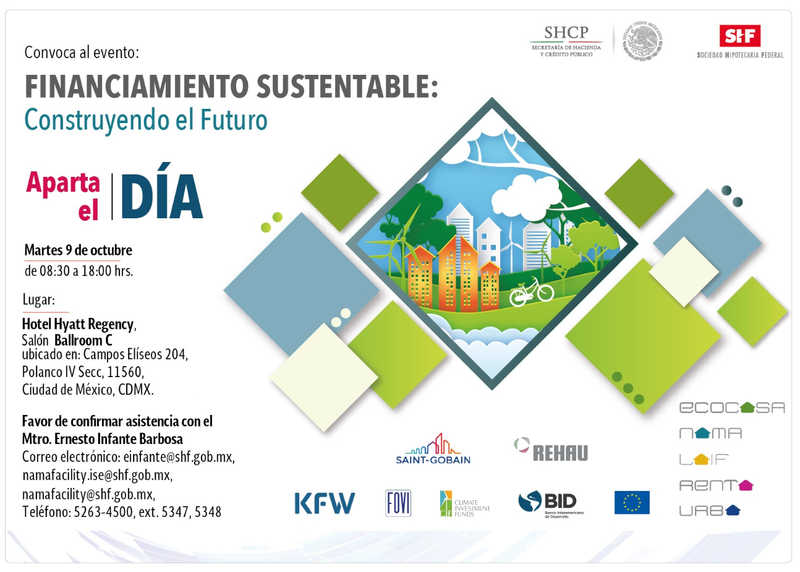 This Forum, organized by the Sociedad Hipotecaria Federal (SHF), will aim to promote the benefits of financing sustainable housing in the Mexican market as a pillar of sustainable social development, identifying opportunities for joint participation between the private sector, government, development banks and national and international organizations. The housing development companies and financial intermediaries that currently participate and promote the sustainable programs of the SHF's portfolio will also be recognized. There will be panel discussions and lectures, with the participation of institutional authorities, international organizations, national housing agencies, experts in sustainable financing issues, financial intermediaries and housing developers.